One of the biggest barriers to success for local families is the lack of quality, affordable child care. A new pilot program, called Growing Child Care, was launched by the Family Enrichment Network on October 15th with a $20,000 grant I was able to secure. In-home child care is a common resource for many parents and guardians in Broome County and is offered through legally-exempt providers, which can care for up to two children at a time; and registered providers, which can care for a maximum of eight children. Growing Child Care will help legally-exempt providers become registered by assisting with the costs of required health and safety training, CPR/First Aid training, as well as inspections of in-home facilities. The program is also encouraging the creation of new in-home child care businesses in our community and has the potential to create up to 60 new slots. If you or someone you know is interested in this program, contact the Family Enrichment Network at 607-723-8313 or visit FEN’s website to learn more. 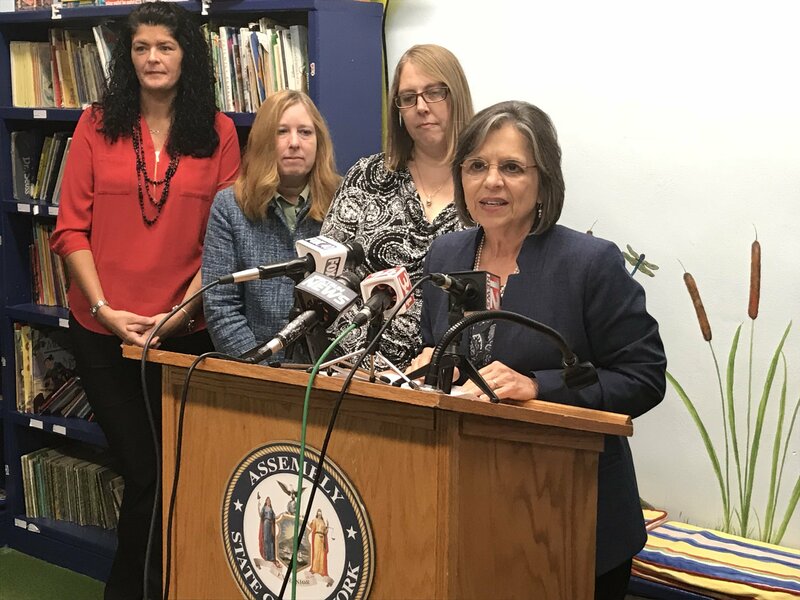 Assemblywoman Lupardo joins Family Enrichment Network to announce details of the new Growing Child Care program. For decades, the Century and Sunrise buildings in Johnson City were eyesores and a constant reminder of a bygone era. On October 22nd, they were reintroduced as new anchors in the Village’s downtown area. Century Sunrise Apartments is part of the Southern Tier’s Upstate Revitalization Initiative and features 105 affordable housing units, 25 of which are specifically designated for people with developmental disabilities. Additionally, commercial space on the first floor will be occupied by Johnson City-based Binghamton Brewing Company which will expand its business to the new development. 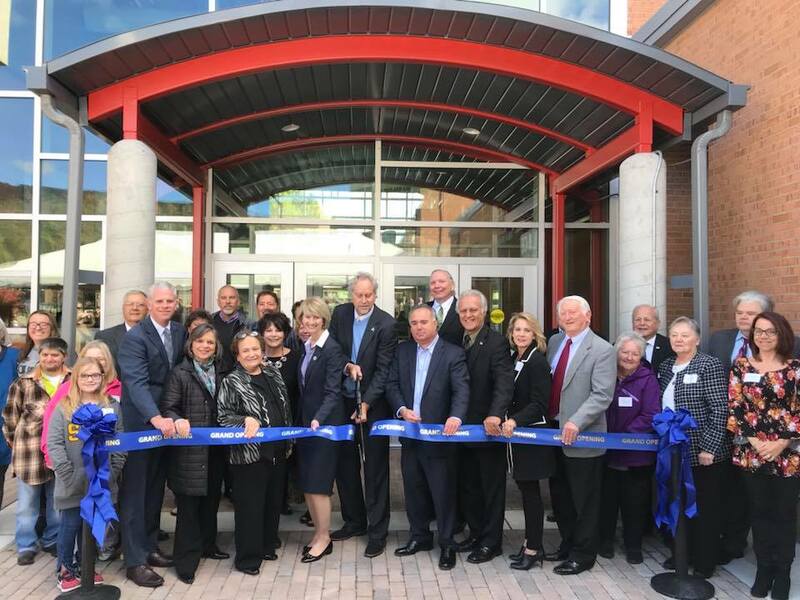 This is another part of the revitalization of Johnson City’s urban core and complements the nearby Binghamton University Pharmacy and Nursing Schools, the historic Goodwill Theatre project, and UHS healthcare facilities. To read more about this project, click here. 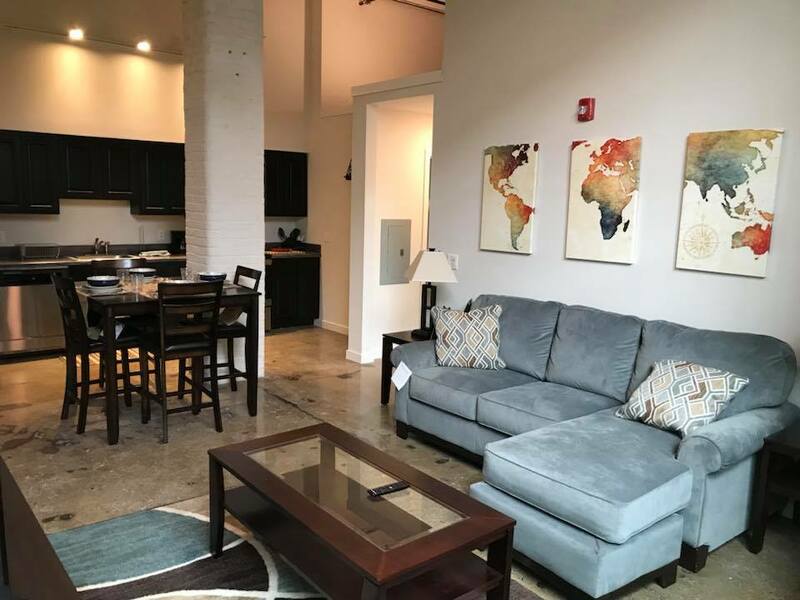 A living room and kitchen area in one of the new Century Sunrise apartments in Johnson City. In order to be competitive in the 21st Century, the manufacturing sector relies on the latest technology and training; fortunately the region’s colleges and universities are playing an important role. On October 16th, SUNY Broome officially opened the Paul & Mary Calice and Mildred Barton Center for Advanced Manufacturing. The center is home to new classrooms and laboratories to train our future professionals in high tech, clean energy, and food sciences. The construction was made possible through an $11 million gift left to SUNY Broome by the late Emil Calice, the largest donation ever given to the college; Calice made the gift with the caveat that the facility be named after his parents and his partner. Additional funding was provided by the SUNY 2020 program, NYSERDA, Empire State Development, and Broome County. Assemblywoman Lupardo helps cut the ribbon on the new Advanced Manufacturing Center at SUNY Broome. Careers in science, technology, engineering, arts & agriculture, and math (STEAM) are rapidly growing. As part of an effort to get students of all ages interested in these fields, the Expanded Learning Network of Broome & Tioga Counties (ELN) hosted the second annual STEAMfest on October 20th at the Oakdale Mall. This event drew hundreds of young people to experience hands-on, interactive learning activities and was held in conjunction with National Lights on Afterschool Week. This week highlights the important role quality, out-of-classroom time plays in children’s development; studies show that engaging students outside of school result in better attendance rates, higher grades, lower instances of disciplinary action, and better preparedness for college and careers. Among the activities students participated in were 3D printing, an archaeology dig, robot building, and RC plane demonstrations just to name a few. To see some of the highlights from this year’s event, click here. 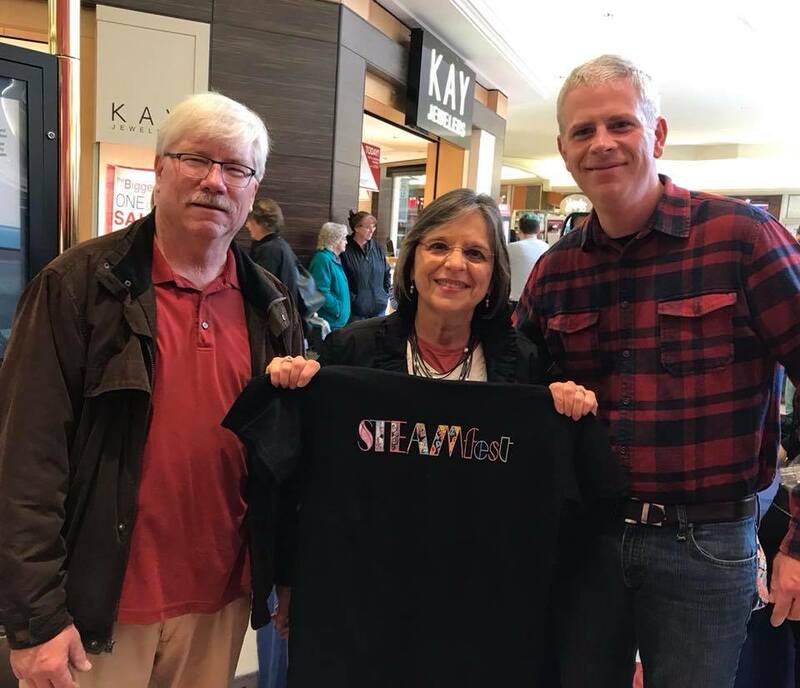 Johnson City Mayor Greg Deemie, Assemblywoman Lupardo, and County Executive Jason Garnar at the second annual STEAMfest. Reading about history is one thing, but experiencing it is even better. 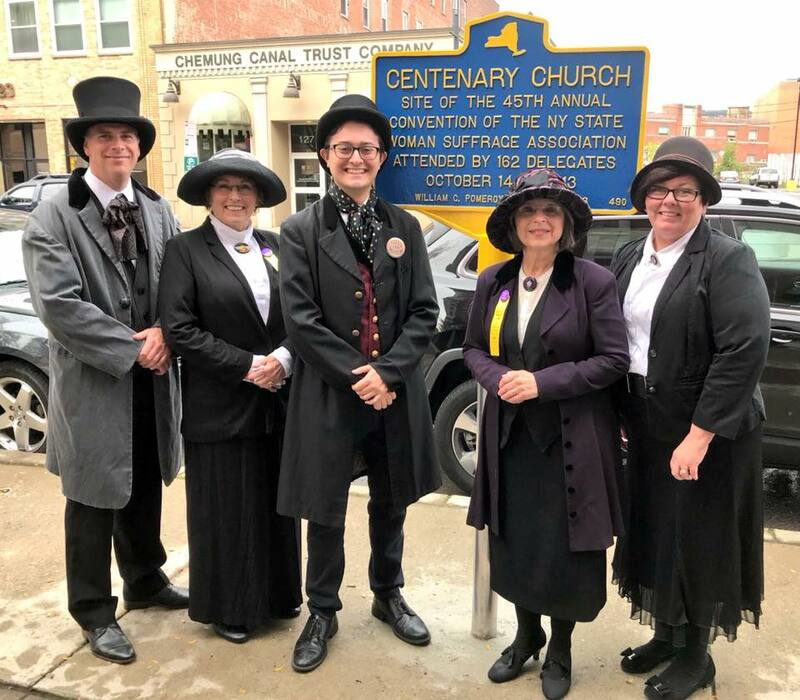 The Broome-Tioga Suffrage Anniversary Committee (BTSAC) and the Preservation Association of the Southern Tier (PAST) brought the 1913 NYS Woman Suffrage Association Convention to life on October 6th at the historic Landmark Church in Binghamton. The City of Binghamton was host to the annual convention in 1913 and it was at that three-day series of meetings that the strategy for two ensuing NYS suffrage propositions was developed. Broome County was one of only six counties to carry the failing ballot proposal in 1915; it passed statewide in 1917. This year’s reenactment was the culmination of a two-year celebration of the local suffrage movement, and featured the re-creation of the convention’s opening ceremonies which were keynoted by famed suffragist Carrie Chapman Catt. Through this entire process, we learned so much about the key role our community played in this movement; we also learned that the struggle for equality was not always equal. For more information about what we learned, read my guest viewpoint that was recently published in the Press & Sun-Bulletin. County Executive Jason Garnar, Tioga County Legislative Chair Marte Sauerbrey, Councilman Conrad Taylor, Assemblwyoman Lupardo and County Legislator Mary Kaminsky portraying dignitaries of the 1913 NYS Woman Suffrage Association Convention.